Return to our second property hunt in Brittany - finally! So after a hiatus of a few of months I am finally ready to return to our French property hunt. My last post on this, back in June, was about our second visit to Brittany as part of "The Search" for a place in France. We had just arrived in the depths of winter and had already seen, and been disappointed by, our first property in the Cotes-d'Armor. We awoke to a dark and frosty morning on the second day of our trip. We had arranged to see a converted longère in a hamlet near Berrien which lies within the Amorique National Park. A Longère, which translates as ‘longhouse’, is a long single storey rectangular property commonly found in the north of France. They are usually made out of granite with a slate roof. This was a private sale and the vendor, who was based in the UK, had arranged for some friends of his to show us around. To reach the property, which was tucked away behind another property so it took us a while to find, we had to use a shared driveway. It looked lovely from the outside but we had to step over some sandbags to gain entrance and there had obviously been some flooding – not a good start! Unfortunately the conversion had been carried out cheaply and had not been finished off properly (this fact hadn’t been mentioned in the details, nor the shared driveway…). The layout had not been well thought out and was all higgledy-piggledy, it simply didn't flow. If the price had been right the best thing to do would have been to rip it all out and start again, but it was priced as a finished product. We told the couple then and there our thoughts to this effect and they agreed. We thanked them for their time and headed off to do a bit of exploring starting with a picnic lunch by Lac St Michel. The reservoir is overlooked by Montagne-St-Michel in the Monts d'Arrée, a slight misnomer as the highest point is only 384 metres, but that is just splitting hairs now isn't it? In the afternoon we stopped in Sizun where discovered our first parish close or enclos paroissial. These impressive edifices are a feature of this area of Brittany. The following morning we had arranged two appointments to see some more converted longeres. Both of these were made up of two properties and they were at the very top of our budget. This time we were seeing them with a local estate agent based in Huelgoat. In the event, we were unable to see one of the properties as the owner (who was in residence) had been unwell and thus unable to tidy up the property in preparation for our visit – could we delay it? Yes of course we could. Unfortunately she never was in a position to show us the property for the duration of our visit. Naturally our conclusion was that she didn’t really want to sell. The second property, which we did manage to see, had really been a last minute addition to our list. Looking at the photos on the immobilière’s website the beams in one of the bedrooms look rather low and Andy had dismissed it on this basis. I thought it was worth a look so we had requested to see it the day before we caught the ferry. When we arrived onsite, it was apparent that there was work being done in the smaller of the two houses, additional insulation was being installed - this seemed like good news!. We found both properties spacious and well situated and the worrisome beams were not as low as they had appeared in the photo’s. We particularly liked the mezzanine floor overlooking the lounge in the larger building and the exposed stonework and beams - and all the space, both inside and outside! The conversion appeared to have been well done and the garden was, if a bit of a wilderness at the back, a blank canvas. We spent a good hour going over both properties, taking loads of pictures! We returned to Huelgoat with the agent, bought some baguettes at the boulangerie in the main square and headed into the Forest of Huelgoat for another chilly picnic. We should have realised something was afoot by the number of cars parked by our picnic site. The horns and the baying of dogs in the distance soon gave the game away – there was a hunt taking place in the forest! Soon a group of high visibility jacket clad hunters emerged from the forest, bemused by the sight of us happily picnicking as I’ve previously mentioned on my blog back in May. Be warned, ‘la chasse’ is a very common sight in the French countryside in winter! After our encounter with the hunt, we headed off to Berrien to rendezvous with an independent agent by the churchyard. He was to take us to view a property in a secret location! You will find that many agents will not tell you the exact location of their properties in advance which makes things a bit difficult when you are trying to do research in advance. I think this is because they are worried that you might find it privately and cut them out of the equation which I guess is fair enough, if not a little frustrating. We met the agent at the appointed time and place, and proceeded to follow him to the large hamlet where we had viewed the first longere the previous day. First thing we noticed is that there was no proper off road parking, just a small piece of land at the front of the house (which was actually the side as it was adjacent to the road). There was a gated ‘driveway’ but this was too narrow to actually get a car through. The property was a stone farmhouse with an attached longere which had been converted into additional accommodation. It was hemmed in on both sides by other houses and one looked directly into another house – this is not what we were looking for a in country property! Along with the property came a large field which, with no access other than via the driveway that wasn’t a driveway! This being the last viewing of the day, we decided to head north and explore the coast around Morlaix. We accidentally discovered the Cairn de Barnenez, Europe’s oldest and largest megalithic mausoleum. Unfortunately it was closed (being a Monday in winter) but we put it on our list for a return visit in the future. As the evening started to draw in we enjoyed a winter sunset over the sea before returning to enjoy the wood burner in our cosy apartment. Hoping for more sunshine at Ty Hir next week! Well a very exciting day for me yesterday - I had my first article on Brittany published on the Travel France Online website! The article is about the magical forest of Huelgoat which I have been blogging about recently. It's very flattering that my scrawlings have been considered good enough to be published - thanks Dominique! I have to confess with the rain pouring down outside my office window over the last few days that I have my fingers crossed for brighter weather for our trip to Ty Hir in just over a week’s time. When we were there in March it was lovely and warm and sunny and I was working in the garden in a t-shirt – hoping for the same again this time! If you happen to be thinking about visiting Brittany this summer, we only have two weeks left in the Grand Longere – the Petit Longere is all booked up which is great news. It really is the perfect place to escape from the rat race! You wouldn't want to meet Ankou on the Yeun Elez! Whilst doing research for my recent posts on the legends of Huelgoat Forest I came across some fascinating tales about Yeun Elez. This boggy marshland can be found in wild heart of the Monts d’Arrée hills in central Finistere. Yeun Elez or the gates of hell, was vast a marsh which originally covered the large depression that lies at the centre of the Monts. This was before it was flooded in 1937 when the river Ellez was damned to create the St-Michel reservoir. The remains of the bog or tourbière in French, surround the edge of the reservoir at the foot of the Mont-St-Michel. These boglands are filled with pools of evil looking peaty water. Ankou, a personification of death in Breton mythology, is reported to have been seen picking up lost souls with his cart from the marsh, including goblins, elves, leprechauns and other little demons including korrigans who are wicked fairies. They all are a link between the world of the living and the dead. The gates of hell are here aptly named. The peat bogs of the Yeun Elez look like a huge grassy plain. The legend goes that these lush fields would entice innocent walkers to explore them. As they advanced towards its centre the ground became less solid beneath their feet and soon these misguided souls would find themselves plunged knee-deep into stagnant foul smelling water. At the heart of the Yeun Elez, the feckless hikers would be faced with a bottomless pool called the Youdig or Youdic which translates as ‘petite bouillie’ or ‘small boiled’. This black watery quagmire of sticky mud would would start to boil as the gates to hell opened. The hapless victim would be dragged down into the murky depths and swallowed up by unseen forces below! Watch where you are walking on the marshes - you might end up with more than a soggy boot if you don't look where you are going! If you visit the bog on the night of a full moon beware – you may encounter the kannerezed noz or the washerwomen of the night! Between sunset and sunrise, these spectral beings launder shrouds whilst singing in the moonlight. They invite the unwary traveller to help them wring out the shrouds and woe betide those who do not wring out the clothes in the correct manner! If it is spun in the wrong direction the washerwomen winds it around the body of the unfortunate until all their bones are broken! It is believed that these spooky laundresses are a portent of death, either one’s own or a death in the family. Yan’Dargent painted the "Lavandières de la nuit" in 1861 and it hangs in the Musée des Beaux-Arts in Quimper. The dogs are supposed to be the embodiment of souls of the dead that have been rejected from hell who remained to haunt the living. ‘An-Eured-Ven’ or ‘The Wedding Party‘ is an alignment of 77 megalithic stones which lie at the foot of Mont-St-Michel. Some stones are barely more than ankle high and many have tipped over, the largest are about as tall as a person. It is said that these stones were a large and boisterous wedding party, finishing the last dance of the festivities, when they were turned to stone for their impolite treatment of a priest who was bearing the last sacrament to a dying man . If you wish to find out more about the legends of the Monts d'Arrée whilst staying at Ty Hir then we recommend a visit to the exhibition at the museum of Le Youdig at Kerveguenet near Brennilis. So in January 2011 we returned to Brittany for a second time – this was to be our fourth property hunting trip to France in less than eight months. Again the theory was that if we found something that we loved in the depths of winter we were bound to love it even more all year round! This time we went as far west as you can in France – to the fascinating department of Finistère. We chose to base ourselves in the centre of the department near Huelgoat – we knew that we wouldn’t be able to afford a property on the coast as these command a premium price and anyway the coast is easy to reach in three directions from the centre of Finistère. Again we travelled overnight with Brittany Ferries from Portsmouth to Caen and had a very calm crossing – it is such a civilised way to travel, it’s like you holiday starts the night before you arrive. The food in the self-service restaurant is great and reasonably priced then you can have a drink in the bar while you are entertained by musicians and magicians (ok, it’s a bit like Butlins but hey, that’s all part of the fun isn’t it?). You get up in the morning after a good night's rest in your own cabin, have breakfast watching the coast of France approach and then it's a pleasant drive on quiet roads to the gîtes - perfect! Wind farms in Brittany, a controversial subject! We had arranged to see five properties and were once again travelling with high hopes. Our first viewing was in Cotes-d'Armor on our way from the ferry to Finistere. The owners were not on site and had arranged for the key to be left in a secure place so we were free to show ourselves around. The property actually consisted of two houses which were let out as gîtes. Again they were in a tiny hamlet which we found easily (for a change!). The setting was lovely, the buildings were slightly elevated overlooking open fields. The one concern upon arrival was the wind farm which sat at the top of the ridge above the property, it was out of sight of the houses but not all of the land which surrounded the property. We are not a big fans of these, they are not good for wildlife in particular birds, and it is debatable as to whether they actually truly produce enough electricity to cover the energy used in their production. Some consider them blight on the landscape. A controversial and emotive subject! The gardens surrounding the property were inviting with lots of hidden nooks and crannies. The houses themselves were spacious and light but one of them had an abomination of an Ikea kitchen (a recent addition apparently) and the floors bowed and sloped. Of course you have to expect this to a degree in older properties but these looked like they could be a real problem which would need addressing. For the price they were asking it just wasn’t going to be worth it. The highlight of the visit was when we accidentally flush a hare out in the field – I’m not sure who was more surprised. We stopped off for a very chilly winter picnic by a reservoir which formed part of the Blavet river. You could still see the ruined remains of an old stone bridge abandoned in the middle of the lake. We then headed off to stay for a week at a charming luxury apartment in Loqueffret, not far from Huelgoat. Le Cosquer Huella is run by a lovely couple, Sam and Alan Eden. Alan is a registered builder and renovated the building that we stayed in which was beautifully done. We certainly will be talking to him if we need any major works done at Ty Hir in the future! Here is a link to his website if you are looking for a builder in Brittany: A.E. Building Services. They were very helpful with all our house hunting questions and Sam even provided us with a much appreciated hot dinner on our arrival! Highly recommended. Here are a few more legends related to the magical forest of Huelgoat (from Breton “Uhel-Coat” or “High Forest”), not far from our gites. Again, these are these the versions that I like best – there seem to be quite a few different takes on them. I think some people just make these things up you know! It is said that this lovely crystal clear pool has healing powers given by the fairy of the forest. One legend says that the Lady of the Lake came to see Arthur see while he was bathing here and she healed his wounds with magic water from the pool. One thing for sure the water is refreshing - just ask Andy who decided to go for a (brief) wade in the pool when we picnicked beside once. Another legend says that one day St. Peter and God descended to earth, dressed as a lumberjack and a labourer respectively. They were accompanied by a pregnant sow. These holy figures came across a house inhabited by an old baker woman. They told her that the sow was about to give birth and that they would give it to her on the condition that they would have half of its litter when they returned. The woman agreed. They said that they would be back in a week. The baker built a hut for the beast and cared for her. The following day the sow gave birth to eight piglets. The baker thought that St. Peter and God would not know how many piglets the sow gave birth to, so she thought that she would tell them that there only four had been born. She hid four of the piglets in the unlit oven. When the travellers returned they asked how many piglets had been born. “Four.” said the baker. God and St. Peter asked “What about the ones in the oven, do they not count?”. The woman quickly apologised for the lie and St. Peter opened the oven and the four piglets scampered off into the forest. The warm ashes had singed their coats. Since that time people say that pigs from Huelgoat have brown hair. Personally I think that they were just looking for an excuse to have a cochon grillé or a hog roast as we would call it! Local folklore identifies this as the site of the Virgin Mary’s first house. It is a sort of cave created by a pile of boulders formed into strange shapes. Amongst some of the items that imaginative visitors to the forest have identified are a cauldron, a ladle, a butter dish, a butter churn, some bellows, armchairs and a bed – not that I can imagine that it would be very comfortable to sleep in! Supposedly you can even spot Jesus’ cradle – would that mean that Mary would rock the rock? It is said that during the day fairies would paint their long hair with combs of gold using the pond as a looking glass. If a fairy was caught talking to a boy she was thrown into the pond as a punishment and would drown! Legend says that you can see the fairies at the bottom of the pond by moonlight but beware, they turn into the ugly toothless witches who can cast an evil spell on you! So, to continue our house hunting story, onto the mud pie house as Andy calls it. This was the third day of our first property viewing trip in Brittany. We had earmarked it for some sightseeing, in particular we were planning to see the Neolithic stones at Carnac, not far from Vannes where we were staying. Carnac is one of the biggest megalithic sites in the world. As I mentioned in my last post, on the day we were due to depart on our trip to Brittany, I saw that a house that I had found previously but dismissed as it was well above our budget, had been reduced in price and was now within our reach. A flurry of emails and a phone call later and we had arranged to go and see it. The owner did not live on site and mentioned coming over to show us around (by coming over I mean they had to take a ferry!). We told them not to bother, after all we would hate for them to waste their time (and money!) if it turned out that it wasn’t suitable. The neighbour had the keys and we were quite happy (actually we preferred) to view it on our own. The house looked gorgeous, very pretty from the outside and lots of exposed stone walls and beams inside, two wood burners, large rooms, it seemed like you could just move in and not have to do anything! The only concern was that the land was split into three plots, two of which were immediately adjacent to the house. Be careful with grazing rights in France! The property was some distance from our hotel so we set off early on a cold wet morning and hoped. To our horror when we arrived there was a car in the drive and smoke come from the chimneys. The vendors had decided to come over after all! From the front it looked as lovely as the pictures though the “gîte”, which was an old barn attached to the house, looked a long way from being ready for guests. Inside it was spacious and warm and just as the photos had presented it. The bedrooms were good sizes but there was a distinct smell of smoke in them – it seemed like there was a problem with one of the chimneys. We went out the back of the property to look around and this part was nowhere near as pretty. It didn’t look quite right to me. We then went across two different roads to access the two non-attached plots of land. One was a wilderness, the other one they had allowed their neighbours to use as a potager and to keep chickens on it (they had told us about the veggie patch and chooks but hadn’t mentioned that they belonged to the neighbours!). You need to be very careful in France about letting people use your land. If you charge them they could get automatic rights over your land. You should take advice from a notaire if you are considering doing this. It is called Bail Rural. We retired to the kitchen with our hosts for a coffee (and a cigarette in their case...our host pointedly said it was his house so he could do what he liked...) for a chat. Andy disappeared out the back again for quite a while. When he returned we told them that we would be in touch and left. Andy was raging as we drove away! He couldn’t believe that they blatantly ignored the state of the outside of the building. It turned out that it was a stone and cob house. Cob is a mixture of earth and straw. Apparently cob houses can last a long time – if they are maintained properly – and this one had not been! When you touched the back walls the earth came away in your hand, it was just being washed off by the rain, hence it being christened as the 'mud pie house' by Andy. There were gaps around the chimneys, holes in the walls, the rafters in the roof were exposed – it just had been left to rack and ruin as far as we could see which was sad. An unloved cob wall quickly turns to mud pies! It was a completely wasted journey - no wonder they had reduced the price – and they still weren’t going to sell it at the new price! The annoying thing was that the owner was unemployed – why wasn’t he spending his time working on the house instead of letting it deteriorate like this??? He was in a state of complete denial. Even more annoying was when he had the cheek to have a go at us for wasting his time when we told him that we weren’t interested in the property as we weren’t looking for a cob house. He said that we should have realised that it was a cob house from the pictures and got quite nasty. We pointed out that this wasn't apparent from the pictures he had sent and also that we had expressly told him not to travel to Brittany for our visit. He did concede that this was true, grudgingly. He must have thought that he had a real couple of numpties on the hook that he could reel in when we showed such enthusiasm in arranging the viewing – little did he know! Apparently cob houses are quite common in Morbihan – you have been warned! I have been thinking about what we are going to do during our upcoming trip to Ty Hir. We love walking and picnicking in the nearby magical forest of Huelgoat in all seasons. This lush green boulder strewn wood has a number of legends associated with it. Here are a few to whet your appetite. Bear in mind that there seem to be lots of different versions of these so I've picked the ones I like the most! It is said that King Arthur, of the legendary Knights of the Round Table, was buried with his servants in the natural cave of La Grotte D'Artus. Legend has it that there is a fabulous treasure in this cave garded by demons who fly around in the form of Willo-the-wisps. Arthur had found this treasure in the Valley Of No Return with the Wizard Merlin's help. Andy and I visited Le Camp d'Artus, a large iron age hill fort which can be found in the middle of the forest, on our first trip to Huelgoat where we had one of our traditional jambon et fromage baguette picnics. Whilst tucking into our crunchy baguettes we heard a loud hullabaloo, dogs barking, horns blowing - yes, it was the infamous "la chasse"! One of the hunters, luridly clad in a bright orange vest, called out to us in English (he obviously knew only mad Brits would be picnicking in the middle of January), "Are you not afraid?!" "Non!" we responded - though now I have learnt how many of these chasseurs manage to shoot each other perhaps we should have been! River Argent or the river of blood! In the 4th Century Gradlon Mawr (Gradlon the Great), king of Cornouaille, fell in love with a beautiful half-woman/half-fairy. They had a daughter, Dahut, who was raised by her father after her mother left him. Her mother eventually returned and took possession of Dahut's mind. In ancient times, so it is told, a giant called Garguantua stopped in the forest of Huelgoat where he was suddenly struck by a terrible hunger. The locals were very miserable (or perhaps just poor) and only offered him a thin porridge which, one suspects, did not sate his hunger. He continued on his way to the Léon and found some more people who served him a hearty meal. Later he as was strolling along the coast, he lost his temper and hurled some large rocks that he found on the shore towards Huelgoat, thus forming the fantastic chaos of moss covered boulders that you can see littering the forest today! The grotto is not far from the bridge that crosses the river Argent in the centre of Huelgoat, a few hundred metres from the still working water mill at the entrance of the forest. You need to go down some slippery metal steps that have a handrails to access the grotto itself - be warned - it is quite dark and a torch wouldn't go amiss! This is supposedly the gateway to Hell. Legend says that it is found at the end of a street lined with bars. Anyone who manages to reach the last bar in the street in a sober state will be allowed by the devil to return home and spared evil doings. Drunkards will be damned to Hell forever – you have been warned! And so onto the second day of our property hunt in Brittany. We had arranged our viewings with a notaire property negotiator rather than an independent estate agent. Some notaires act as selling agents and as I’ve mentioned before, their commission is often considerably less than the fees charged by private estate agents. We weren’t really sure what to expect, thinking that it would all be a bit more formal but in the event we met a charming young girl (okay, I’m showing my age again...) who could not have been more helpful (particularly in allowing us to practice our French despite her excellent English!). The first property that she took us to was owned by a lovely old French lady who was on hand to show us around. She spoke no English so it was a good test for us and I was thrilled when I heard her say (in French) “but they do speak French!” to the immobiliere at one point during the tour – we must have said something in French that she understood! The house was less than a hundred years old and look in good condition from the outside. Once we got upstairs we noticed that there were large cracks where the walls and ceilings joined and the lady had collected pots of plaster that had fallen off the walls – something you think that she would have put away before we arrived! Still, this only goes to show the French attitude to property – it was still standing so it was obviously okay! We went outside and immediately saw what the problem was – there no guttering or drainage. The ground at the bottom of the walls was absolutely sodden – no wonder the walls were moving! It’s frustrating to see things like this, something that could have been easily prevented. So this was going to be another no. Next we went to see a property that was cheap but looked like it had good development potential. From the photos it looked like it was fairly isolated but when we arrived we saw that it was smack bang in the middle of a fair sized hamlet and was overlooked from nearly every side – it just goes to show how cleverly taken pictures can be misleading! That was the end of our property viewing for that day and we spent the afternoon exploring the lovely of Gulf of Morbihan which has been described as one of the most beautiful bays in the world. We were delighted to see some spoonbills – unfortunately they were too quick for us to get a picture. They are amazingly weird looking birds with their long spatula shaped bills which they sweep from side to side in the water. The next day was supposed to be a day off from house hunting but a viewing had been arranged virtually as we walking out the door to go to Brittany – this one looked like the idyllic picture postcard cottage in the country – what would it be like in reality? Bank holiday blues and back for a second viewing! It’s a bank holiday weekend here in the UK and the weather in Surrey is miserable – the top temperature today is a sad figure of 9°C. It was 15°C on Christmas Day 2011 – what’s going on??? At this time of year I usually go on my annual bluebell photographic expedition. I woke up today hoping for a sunny morning only to be confronted by a dull drear sky – no good for shooting bluebells. As bluebells seem to be blooming earlier each year and they have already been out for weeks, I fear I may have missed them at their best. I am yet to capture the true magic of a dappled bluebell carpeted woodland in its full glory – but I will continue with my quest – they are one of the true glories of a British spring – even if the sun seems to have deserted us for a while! With the weather being what it is and Andy working the bank holiday weekend, I spent yesterday creating a French version of our website. I’ve finished the main pages, I just need to proof read them properly and make sure that I haven’t mangled the French language to such an extent that I may unintentionally cause offence or confusion or both to my potential Gallic audience. If you speak French, take a look at le site Web www.maisons-de-vacances-finistere.fr and if you can’t understand it s'il vous plaît laissez-moi savoir! Now back to our second French property hunting trip. On our last day we had organised a second viewing of a house that we had fallen in love with in the Haute-Vienne. The viewing wasn’t until the afternoon so that morning we went to visit the fairy tale castle of Le Château de Jumilhac over the border in the Dordogne. The roofs of the château are an extravaganza of towers and turrets. It was a centre of alchemy in the 17th century and you can find many symbols of this forerunner to chemisty in the splendid ironwork and lead creations which decorate the roofs. We joined a tour given in French and fortunately were given an English guide book to follow considering our lack of expertise in the language. We discovered that it was privately owned and that the tour was being led by one of the younger family members, another of whom had sold us our tickets at the gate. They have slowly been restoring and reopening the château room by room over the years – a real family concern which was nice to see! After a lunch of fresh baguettes in a cafe facing the beautiful château, during which we observed a local jump out of their car leaving the engine running to pick up some bread – something you don’t usually see in the UK – we met a different estate agent at the house we were seeing for second time. It didn’t start well when she couldn’t find the keys. Many owners leave their keys onsite as they usually advertise their property with more than one agent. Apparently the key wasn’t in the usual place. The three of us hunted around for about 20 minutes and finally they were located by Andy under a pot – phew! The agent sat in the sunshine whilst we gave the house a thorough going over, taking pictures of everything, making notes of things that might be of concern and measuring up the rooms. It didn’t lose its charm on second viewing, even the farmers bringing in the harvest in the field across the road only added to its appeal. The sparrows chirping in the eaves were the only thing you could hear when the threshing machines were out of earshot. We explored the garden, noting the different types of shrubs and trees and marvelling at the amount of land that came with the property. Soon it was time to set off for our flight back to Stansted Airport. We were both very excited at what we had seen and discussed what we thought it was worth as opposed to what the owner thought it was worth, plus all the things we liked and disliked about the property all the way to the airport. It had been on the market for quite some time so we thought that the vendor might be open to offers. First we had to do a bit of research on the area and the property before making a decision. Over the weekend we had recced the area quite thoroughly – picnicking by a lake on the road which passed the house to get a feel for the local traffic (there was none to speak of) and exploring the local towns and villages to check the available amenities. After stopping for a break by the river Vienne at Aixe-sur-Vienne we arrived in plenty of time for our flight only for a jobsworth from Ryanair to tell me that my cabin bag was overweight – by less than a kilo but nevertheless I had to reduce the weight! This was resolved by putting on a few of the clothes that I had packed in the bag, walking through the entrance to the gate and then removing said clothes and repacking them – simples! I won’t be buying sweets for my workmates if I travel with those buggers again! On the first morning of our second property hunting trip, after a night of much discussion about the house we had taken a shine to the previous day, we put a call into the agent to arrange a second viewing on the Monday – things were getting serious! We then met with another immobilier to view a property in a tiny hamlet near Châlus. This immobilier was an agent with one of the largest French estate agencies that target the British market. Most of their agents seem to be Brits who have moved to France and in the process have turned into estate agents, according to their profiles. 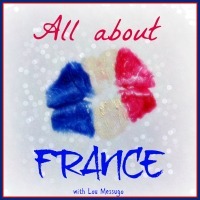 If you have searched for French properties you are bound to have come across them and will know who I’m talking about! This guy had come across as a bit of a wide boy in our email correspondence so we were pleasantly surprised when he proved not be at all pushy. Hewas even frank in pointing out that the plot across the road had planning permission and the that owner was going to build a huge property on it. This in a tiny hamlet of three houses - great! The house needed too much work doing to it and the poor dead little owl that we found upstairs wasn’t a good omen so another "no". That afternoon we visited Rochechouart, a walled town built on the edge a crater which was created by a meteor strike two hundred million years ago. The town is dominated by a magnificent 13th century château. We had organised to see two properties which a lovely French lady immobilier. When we arrived at the first property we realised that she had failed to mention the huge water tower that dominated the field next to the house, nor that it was on a busy road. At least we got to practice our French with the charming elderly French owner! Next we went to see our first barn conversion. This was stunning, the conversion was well done and there was plenty of space, though the low beam over the stairwell to the first floor was a slight concern. The grounds were expansive and nicely laid out and the only close neighbours were some cows in the field next door, only problem was this one was way over our budget. The British couple who owned it had the same surname as us – surely this was meant to be! On the way back from the viewing the immobilier told us that they were not willing to reduce their price so this was not going to be a starter – I wonder if it is still on the market – I must check! When we returned to Rochechouart the Marché de nuit, which is a night market that is held during summer, was in full swing. We couldn’t believe how many people there were – cars were parked all over the place! There were live bands, hot food vans and lots of stalls selling all manner of things. The place was buzzing on this balmy August evening and we happily wandered around in just our t-shirts and shorts buying little treats for our family and friends (and ourselves of course!). If you ever get the chance to visit a night market don’t miss it! The following morning we had a rendezvous in a market square by the river Vienne with the husband of another English immobilier that we had been dealing with – she was off on some other business so it fell to him to do the viewing. I guess it’s good if you have a partner who can step into the breach like this, though he was a builder so I would a hazard a guess that he saw us a potential customers. We were looking forward to the viewing with some trepidation as our French immobilier from the previous day had asked if we were seeing any other properties in the area. When we told her that we were, she said that she hoped that it wasn’t anywhere next the new bypass – “what bypass? !” we exclaimed, obviously not knowing anything about this. The bypass, she told us, had been planned for years and work was due to commence soon. She described where it was going to be and it sounded uncomfortably close the house we were going to see. She told us to look out for orange markers which showed exactly where the new road was would be. So, as we drove to the property with the immobilier’s husband we were busily scanning the countryside for these little orange beacons of doom. Sure enough we glimpsed some glowing in the distance. We causally asked our guide if he knew anything about the planned bypass. Oh yes, it was great, it would relieve the bottle neck in the town we had just left – they were building a new bridge over the Vienne river and the four laned highway would be shielded from local properties so there was nothing to worry about – yeah, right! We pulled up at the gate of a lovely old stone building to be greeted by a pack of dogs – all friendly fortunately! As the wagging tail party escorted us into the property we glanced over at the field next door and saw those, by now, evil orange markers about 200 meters away. We looked at each other to see if the other one had noticed them and of course we both had. At this point we knew that we were not going to be buying this property, not being lorry spotters, nor deaf (nor stupid! ), but in good old English fashion we were too polite to end the visit then and there. At least we now knew why it seemed such a bargain! The place itself was somewhat of a mess, the standard of the workmanship was questionable. I don’t know about you but sticky fly paper strips do nothing for me and are even worse when they are dangling around a kitchen like toxic streamers – yuck! We asked the obligatory questions and made interested noises, although how convincing we were is questionable. On the way back to our car with our host he asked what we thought. We told him straight out that the bypass was a problem and suggested that perhaps his wife should have mentioned this before our visit, after all it was something that was going to come out in the searches even if a viewer failed to notice the markers in the field next door and question them! We spent the rest of the afternoon as tourists rather than house hunters and visited the ruins of the Gallo-Roman baths at Chassenon. We are both fans of Roman architecture and history and have visited many Roman sites in the UK as well as abroad so we were delighted when we found that these baths were just down the road from us. The Thermes de Chassenon is a huge area of about 25 hectares and the remains include a forum, theatre and thermal baths. We enjoyed a sunny afternoon wandering the site of the old garrison town of Cassinomagus. It was nice to have a break from house hunting and we could relax until the second viewing the following afternoon.